This painting, from my 2013 “Mark of the Beast” show, was a bit of an outlier. Instead of being inspired by scripture, it was inspired by its name, which I thought was hilariously dramatic for a little gecko. I am happy that a good friend bought the painting, which is one of my favorites, so it sort of stayed in the family. 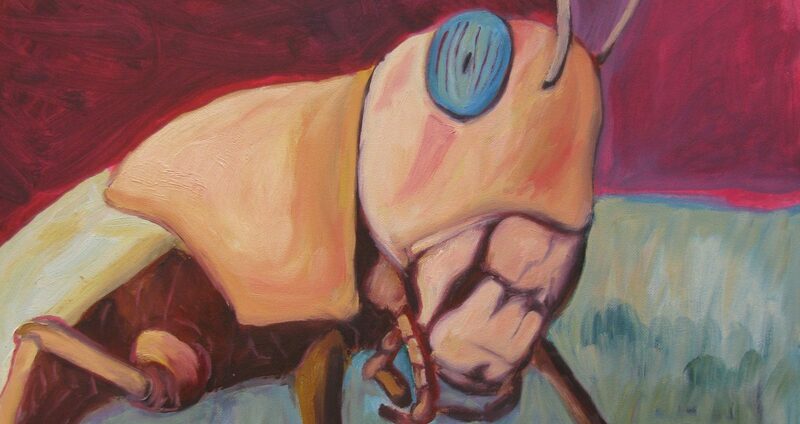 This entry was posted in "Mark of the Beast", Animal paintings. Bookmark the permalink.